As a giant purple cube continues to roll across the island of Fortnite Battle Royale, burning runes into the ground as ominous teasers for events of the next season, this week’s content update focuses on something simpler (though not smaller): a handy gadget you can throw to instantly erect a castle tower. 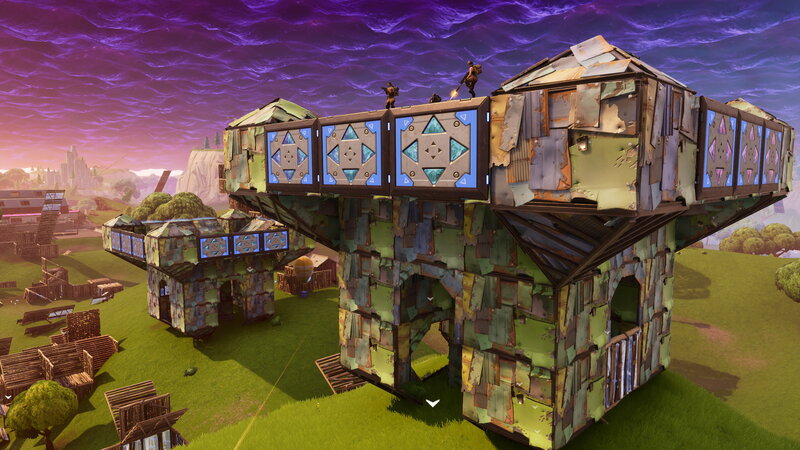 The Port-a-Fortress is like a Port-a-Fort, right, but bigger. As someone who doesn’t care to “just build”, I welcome this handy doodad. But the ‘Playground’ sandbox mode has received something even fancier: a self-erecting stadium lined with spike traps and bounce pads. It looks ideal for inventing murderous futuresports, for those genre-defying daredevils into things like playing volleyhamsterball in Overwatch.